Early in December, Adobe launched the first beta of Flash Player 10.2, which was aimed at reducing processor load with a new feature called "Stage Video" that promised to rely on the GPU instead. Today Adobe has made Flash 10.2 available out of beta, and it brings full Stage Video support, although content providers like Youtube and Vimeo will need to manually enable the Stage Video APIs before the end users can see any improvements. That should happen soon. Flash Player 10.2 should play most high-resolution video with processor load below 15% -- we're talking full 1080p streamed directly from Youtube to your Mac. For instance, Adobe says they were able to play 1080p content on a 2 year old Mac Mini with CPU load under 8 percent. That's not too bad. Today, we're launching Flash Player 10.2 for Windows, Mac, and Linux. We're especially excited that this release introduces Stage Video, a full hardware accelerated video pipeline for best-in-class, beautiful video across platforms and browsers. Additionally, this version of Flash Player offers all the new capabilities previewed in our beta release, like custom native mouse cursors, multiple monitor full-screen support, Internet Explorer 9 hardware accelerated rendering support, and enhanced sub-pixel rendering for superior text readability. Here in San Francisco, we've had a bit of tradition around changing how folks see the world with images. In the 1870s, a San Francisco photographer named Eadweard Muybridge captured some of the earliest motion pictures. In 1927, Philo Farnsworth transmitted the first electronic television image in his laboratory on 202 Green Street. And way back in 2002, a small team in San Francisco introduced video in Flash Player, bringing seamless video to 9 in 10 connected computers – allowing video to become an integral part of the web. Three years ago, that team introduced H.264 video to over 93 percent of users, bringing immersive high quality video to more people than ever. Flash Player has helped create a beautiful web that moves and connects. Flash Player 10.2 continues that tradition by introducing Stage Video: smoother, more efficient, more beautiful HD video for the web. Stage Video lets websites take advantage of full hardware acceleration of the entire video pipeline. This builds on the H.264 hardware accelerated decoding in Flash Player 10.1. Stage Video hardware acceleration means that Flash Player can play even higher quality video while using dramatically less processing power, giving users a better experience, greater performance, and longer battery life. In our testing across supported systems, we've found it's up to 34 times more efficient. Put another way, Flash Player using Stage Video can effortlessly play beautiful 1080p HD video with just 1-15% CPU usage on a common Mac or Windows computer* – working across platforms and browsers, it will enable the best video experience for the most people. Many millions of additional PCs, from netbooks to desktops, can now become slick HD home theaters on the web. Note that Stage Video performance gains might not be visible right away. Websites and content providers will first need to update their video players before users experience Stage Video playback with Flash Player 10.2 on their sites. For developers, this typically means updating a SWF player file. However, no changes are needed to existing video libraries or infrastructure, and websites just continue to leverage Flash Player benefits including unmatched reach, advanced streaming capabilities, DVR-like playback control, rich interactivity, content protection, and consistency. Since adoption of new Flash Player releases is accelerating, websites can expect that many of the over 1 billion people with Flash Player will be ready to benefit from Stage Video in Flash Player 10.2 soon. Companies like Vimeo, Brightcove, Epix, and YouTube have already started work to enable support for Stage Video to deliver amazing video playback experiences. You'll be seeing them enable Stage Video performance in the near future. And you can try examples of Stage Video today after upgrading to Flash Player 10.2. Tens of thousands of sites will be enabled by the Brightcove player, and Jeff Whatcott at Brightcove explains, "Brightcove is continually innovating to deliver great video experiences. We have been blown away by the performance and efficiency of Stage Video and we are truly excited to be working so closely with Adobe to bring this breakthrough technology to customers." And Ryan Hefner at Vimeo notes, "Since Vimeo's users upload a lot of high-definition content, being that HD is the default quality for videos viewed on our site, the decision to take advantage of Stage Video in Flash Player 10.2 was a no brainer. We love to keep up on the latest technologies, and if those technologies also enhance the user experience for our users then it's a win-win." Folks that want to deliver gorgeous, smooth HD video to more people than ever have reason to be excited, and more and more sites will enable Stage Video in the coming months. Along with the new Stage Video architecture, we're adding features in Flash Player 10.2 to enable even more polished experiences. * Video at its best is immersive, so Flash Player allows you jump to true full screen playback with one click. With multiple display full screen support in Flash Player 10.2, you can now easily watch your favorite videos in true full screen on one display while you multitask on another and get some work done (or not). * Added support for custom native mouse cursors lets designers and developers create their own static or animated cursors with silky smooth responsiveness, enabling richer game and application interfaces. * New sub-pixel text rendering enhancements leverage Adobe typography research to further enhance text readability, especially for complex character-based languages. * Support is included for the GPU rendering technology in Microsoft's upcoming Internet Explorer 9 browser. 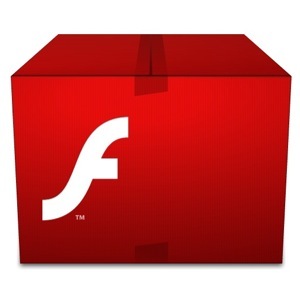 You can install Flash Player 10.2 today. We encourage everyone, developers and users, to try it out and let us know what you think. And hang tight for exciting mobile updates. We'll be providing more information about the next Flash Platform runtimes – Flash Player and AIR – on phone and tablet devices at Mobile World Congress next week. We're thrilled about today's launch, and we hope you enjoy it. * For example, using Flash Player 10.2 with Stage Video hardware acceleration, we've tested a Mac Mini released two years ago and a low-powered GPU-enabled Windows netbook playing smooth full HD 1080p video using less than 8% of the CPU; more powerful computers use even less.